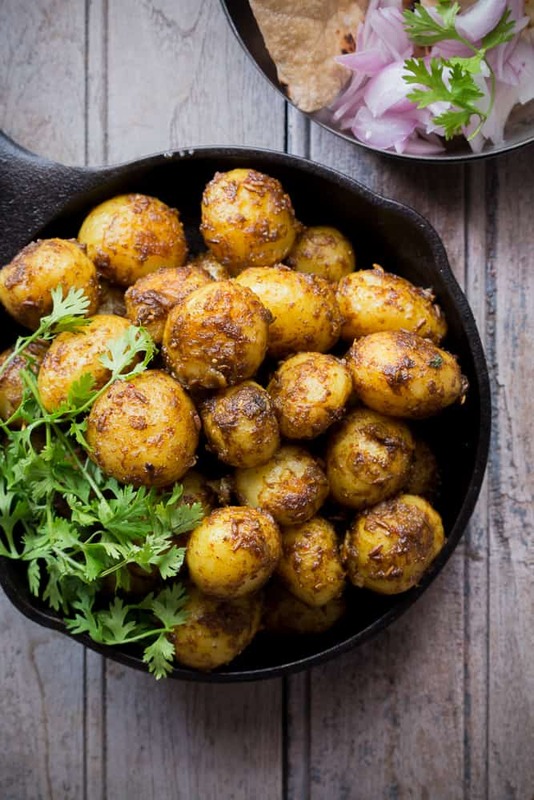 Bombay Potatoes Recipe (Masala Aloo) is the best ever Indian-style roasted potato recipe. And this delicious recipe has been generously shared by Richa with us. Who is Richa? A self-taught cook, baker and a food photographer. Richa is the force behind a buzzing food blog My Food Story. 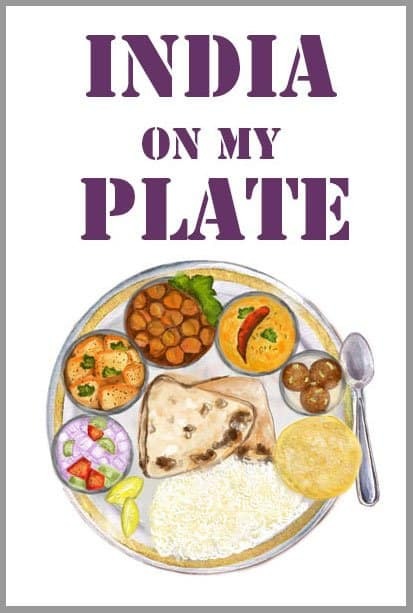 Her heart-warming smile and a contemporary approach towards the conventional Indian food recipes are the two things for which you should not miss out being a regular visitor to her blog. If you spot a drool-worthy food image compelling you to dive into the computer screen and grab the food then Richa might be the person responsible for that. 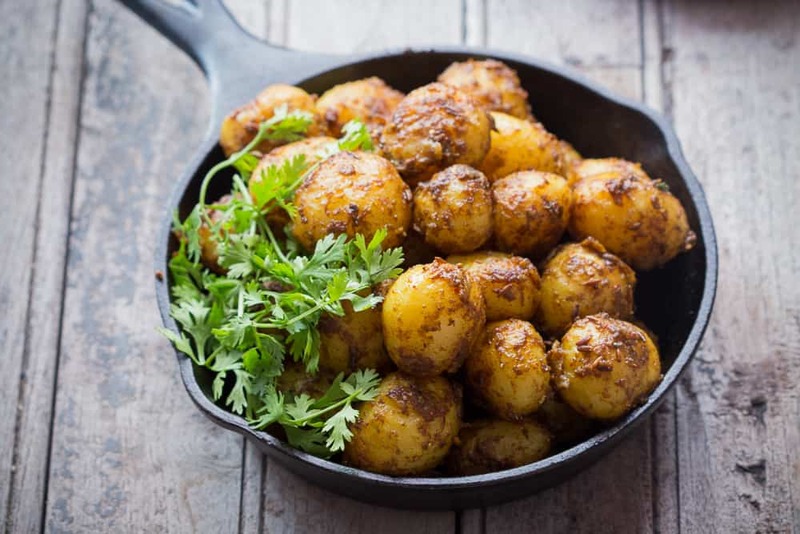 When we approached her to share a guest post with the readers of the blog, she readily accepted the invite and hence – Bombay Potatoes Recipe happened. Richa says ,’Hey guys! I’m so happy to be guest posting here on behalf of Hina, and it’s an absolute privilege to be here. I love the space that Hina has created with Fun Food and Frolic and it’s always a pleasure to go through her stories, follow her journey and gawk at the delicious pictures on the blog! 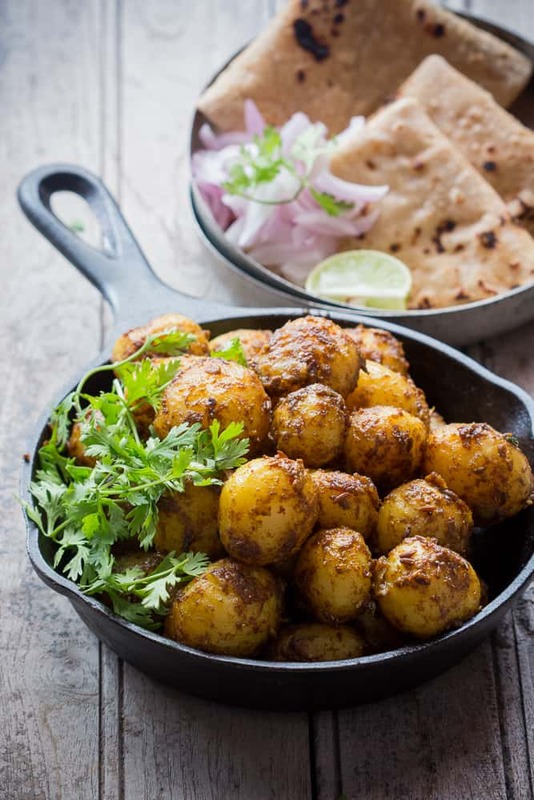 Today I’m sharing the recipe for Masala Aloo or Bombay Potatoes as they are popularly called outside India because the recipe has a special place in my life. My husband is not big on eating vegetables and would be happiest if there are none on the dinner table. Except for potatoes. If given a vegetarian option, he’d happily pick potatoes over other Indian food recipes. Which is why, I end up making them regularly at home, and getting creative with them. 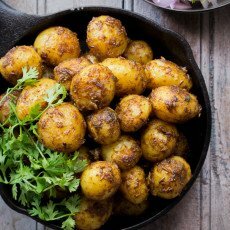 Turn off the heat and top Bombay Potatoes with the chopped coriander. I don`t often cook potatoes and when I do, it must be a tasty recipe. This recipe qualifies, although I probably won`t peel them. This recipe seems exciting. Aloo are my favourite and so simple to make too. The pictures look so tempting! I’m going to try these right away.